I'm 25 weeks pregnant and getting more anxious as time goes on. To be honest I'm fed up!! I feel more relaxed with having the stitch now better then I first did as I was sure something was going to go wrong, but it hasn't and this little girl is wriggling and kicking away. 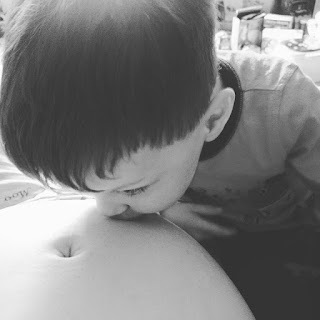 I can't really remember how I felt with Jared at this stage in pregnancy but with this one I'm so tired and hungry. I think if I could just sleep and eat all day it would be great but unfortunately live in the real world and have a nursery run then a day at work so barely get to do either. Plus side is I haven't put that much weight on this time round, it's nice to know my clothes don't fit due to the ever growing baby bump instead of a food baby. Part of me wants to buy some more nice maternity clothes but then I keep thinking do I want to spend that much when I could end up having her in about 3 weeks time (if we go on the fact that Jared was born at 28 weeks). Maybe this is why I'm feeling frustrated and fed up?! Thinking about it it would make sense for me as I have never in all 4 previous pregnancies been pregnant for longer than 28 weeks. So it could be a sub concious thing and my brain is freaking out about the fact that we haven't got everything ready yet. It's strange to think that if I get past 28 weeks (which I should thanks to the stitch) then I will have loads of firsts. I have an appointment into weeks to check my cervix and the stitch, this is where we will discuss a date about having it removed. This is the conversation I'm not looking forward to as I point blank refuse to have the spinal anaesthetic again, the thought of it makes me feel sick and dizzy and I know that I can not go through that again. 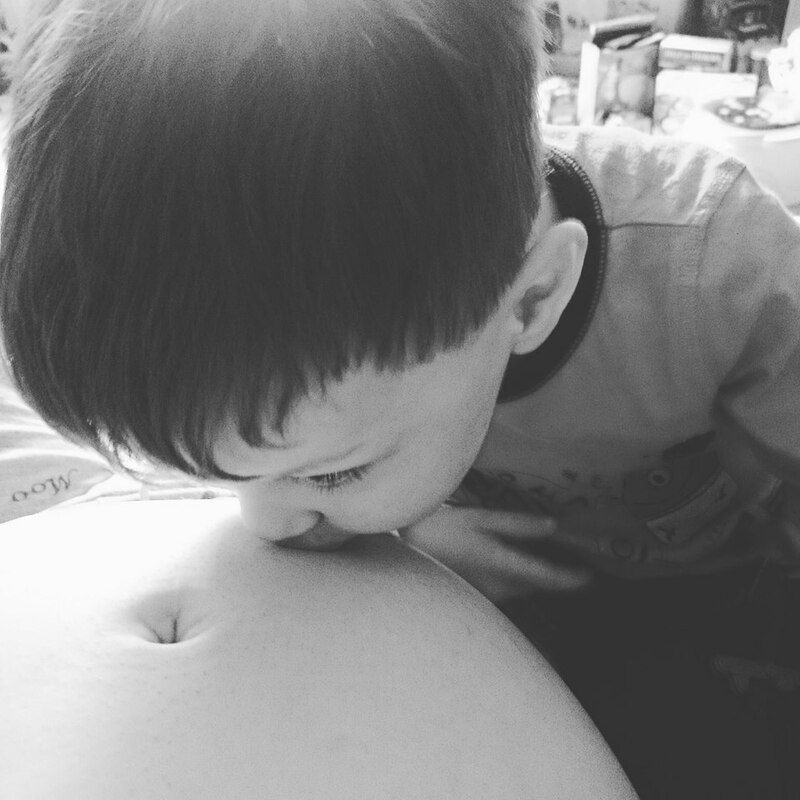 Jared is so excited about his baby sister, he kisses and cuddles the bump he also enjoys talking to her and reading her stories. The other day he told me that his sister would be so beautiful and he would love her so much, I must admit it made me well up. I'm still really nervous about how he will act when she is here as he is such a mummy's boy but daddy is taking him to rugby and trying set certain daddy and son activities in the hopes that it will make it easier for him to adjust to the fact that he will not be the only child and has to share mummy and daddy. If you have any tips on this then please share them with me as I need them.